I've seen you wear those sunglasses in a few posts now and I love them! 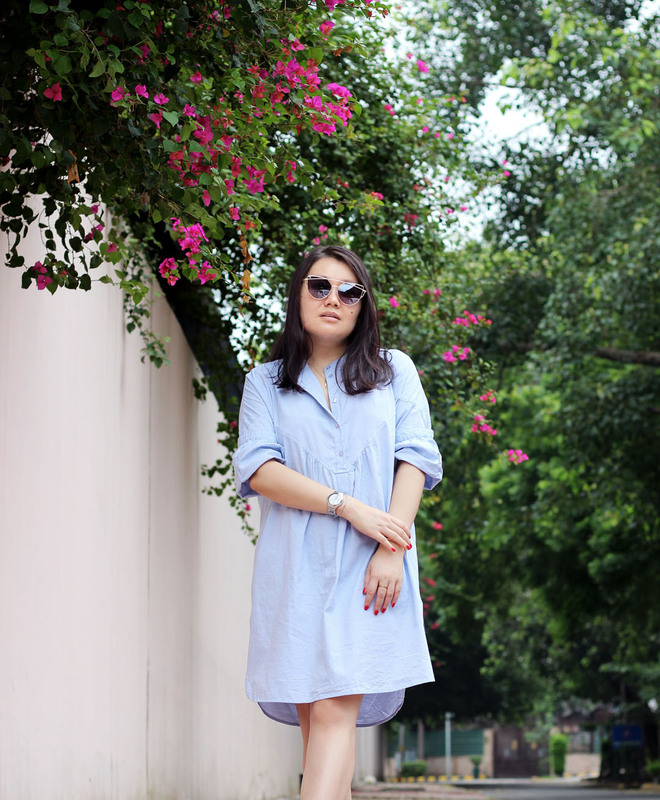 Shirt dresses are one of my favourite things to wear, so comfortable and versatile! 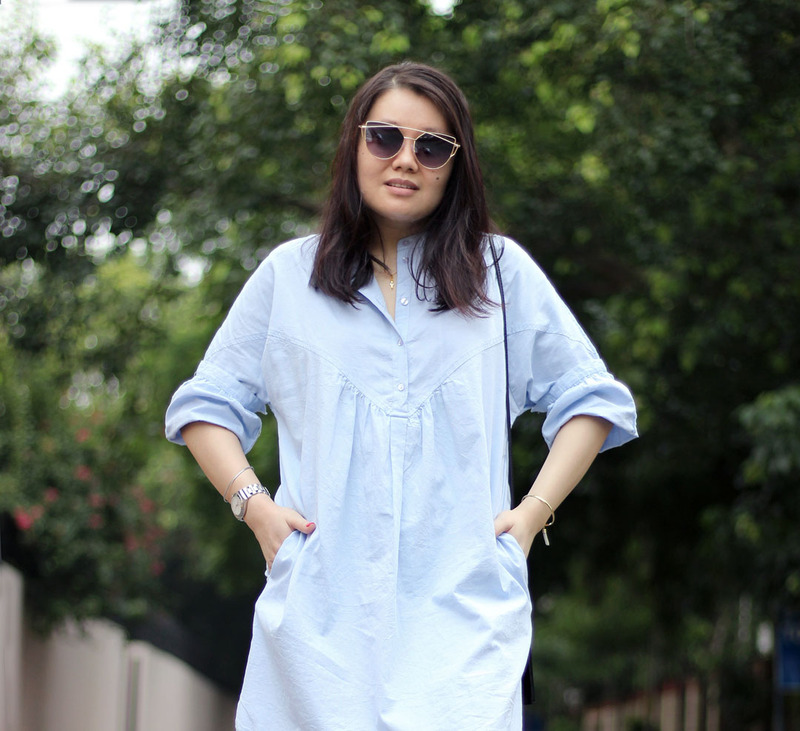 Loving the shirtdress! Great shoes! I believe we should mutual cooperation between our fellow bloggers to increase visitor. love your sunnies! happy august! Happy New Month, beauty! 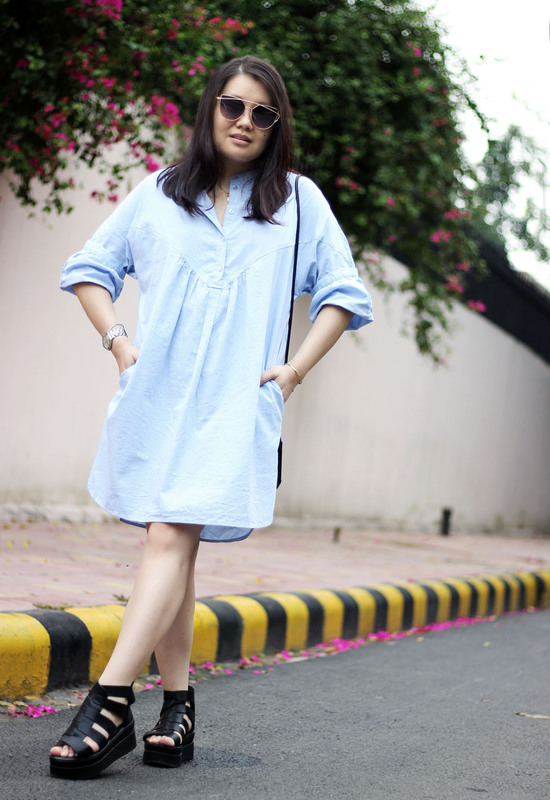 I love your shirt dress paired with those platform sandals, they had such a nice touch of edge to the look, love! Thanks so much for sharing and I hope you have the best week and month ahead! Love your dress! That's gorgeous! Reminds me of a shirt I have! Great look! The shades are awesome! Cute outfit and loving those sunnies! Your sunglasses are so cool, looking gorgeous dear! Love this breezy outfit! I would love some summer rain here in LA. Maybe that would keep the ants out. Happy August, hun. What a fab look! 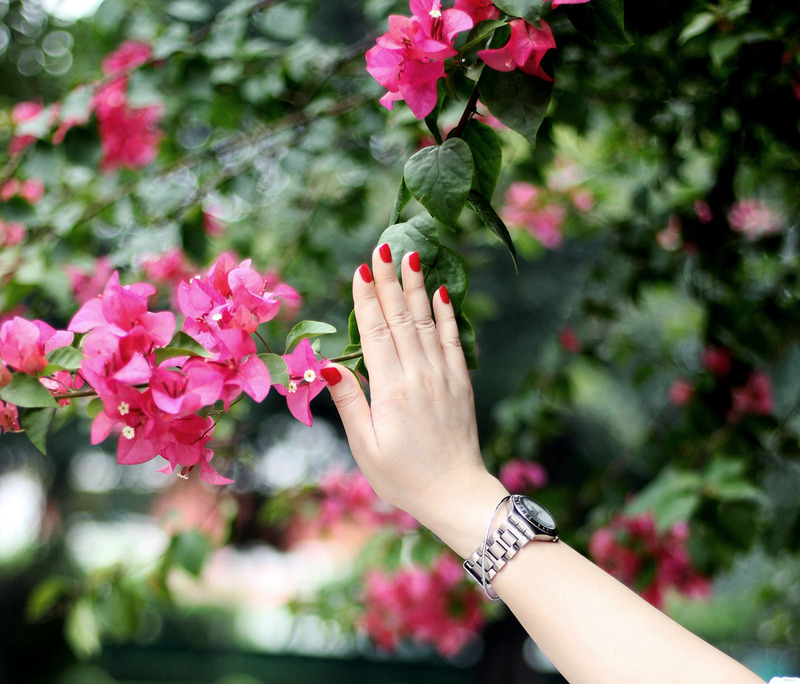 I am in love with your nail polish color, it's gorgeous. As always love your simple accessories! Eva, what a beautiful summer look! It's something I would wear on a hot and humid weekday in the city:) Thanks so much for sharing; I can't wait to see your August outfits! I love the red nails with this look! So chic. Perfect mani! And that dress looks so comfy and casual, love it. Amazing outfit as always, I love the little details like the nails and sunglasses. Perfect! Beautiful! Love the dress, sunnies and your nails!! Your blog is so amazing! You look great!! Love that shirt dress!! It looks fantastic on you!!! Happy August!!! Great blogpost babe. Love the look! I live a great shirtdress. It is so chic and timeless. Cute fingernail polish as well. Lovely color. Nice outfit! 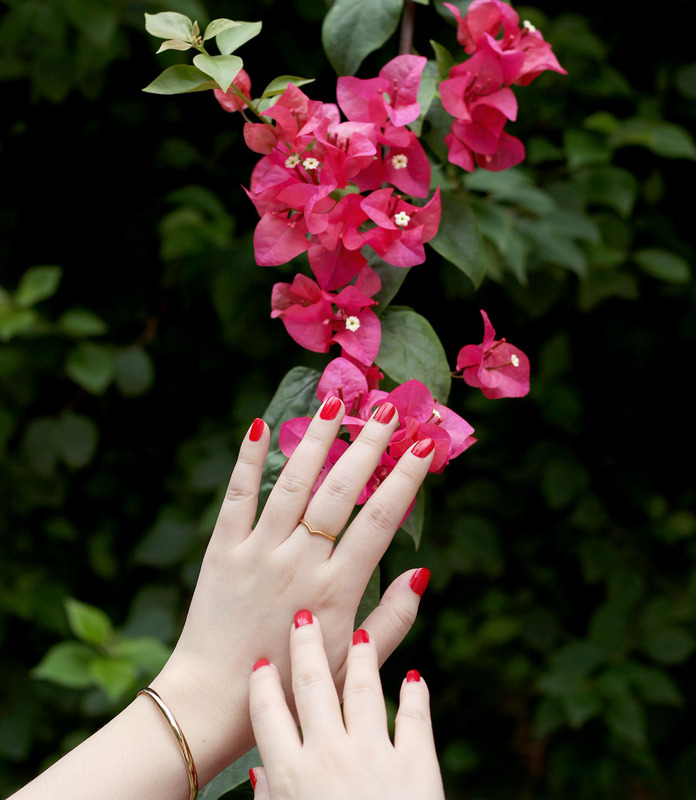 I love your red nails too! Happy August! You always look good in blue dress and this dress in not an exception. Love your sandals too, it's nicely paired with the dress.